After two decades of growth and change, there’s a feeling Leeds is at something of a crossroads and in search of direction and identity. While other northern cities have had massive investment and public attention as ‘cities of culture’, hosting international athletic events, major retail developments and the renovation of older and iconic buildings as major new cultural venues, Leeds seems to have been left behind. Development and regeneration seemed to have stuttered even before the recession hit. So where does Leeds go now, and how does it move forward? And does it have anything unique to offer? Does the answer lie in more of what it does already: attracting the financial services and promoting itself as Yorkshire’s premier shopping destination? 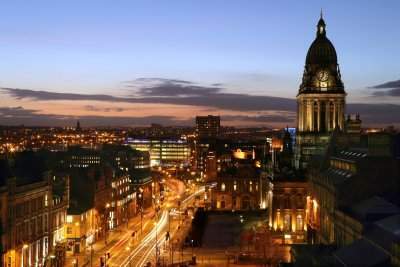 Could Leeds be the economic hub driving the future success of a huge city-region? And what about leisure, entertainment and culture? Does Leeds have the facilities and resources to attract cultural entrepreneurs and innovators? And how does Leeds keep and promote its own creative talent? What will, or how will, Leeds define itself as a city in the 21st century? How could it be the great regional capital it aspires to be? And, ultimately, what makes and defines a city? Irena Bauman will be speaking at the forthcoming What is the future of Leeds? debate at The Leeds Salon on Wednesday 23rd Febuary 2011. Please see the Leeds Salon website for further information.